NEW BRITAIN - Klingberg Family Centers will be holding another in its annual series of car shows on Sept. 22, featuring vintage cars, pre-World War II classics and top-of-the-line supercars. The Vintage Motorcar Series raised money for children and families involved in programs at Klingberg Family Centers. The Sept. 22 show will feature Lamborghinis, Porsches and Aston Martins, along with “woody” station wagons including a 1936 Dodge Estate Wagon, a 1952 Buick Roadmaster and a 1941 Packard, according to a press release. Wayne Carini of “Chasing Classic Cars” and Mike Brewer of “Wheeler Dealers” will be on hand to present awards and talk with car owners and visitors. Ten members of the local chapter of the Horseless Carriage Club of America will also be at the event. A food truck will serve coffee and breakfast and the Klingberg History Museum will be open. Family lawn games and other activites will be offered. The nonprofit organization aims to help thousands of people across the state every year through over twenty distinct programs. The event will highlight Klingberg’s outpatient clinic, which offers individual, family and group therapy for children struggling with issues such as ADHD, anxiety, depression, school difficulties and more. Staff members will be present to answer any questions. General admission tickets to the car show are $10, senior (65 and older) tickets are $8 and children 12 and under can attend the car show free. 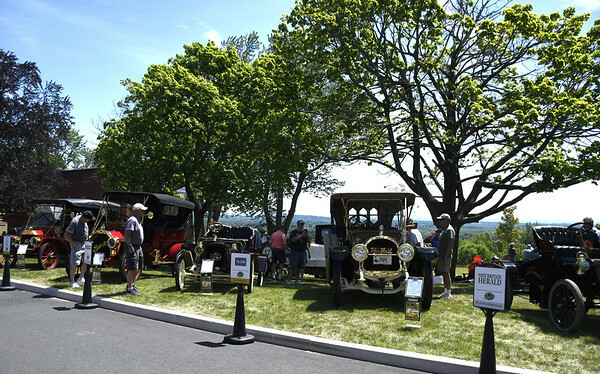 Free parking is available on the Klingberg campus at 370 Linwood St.
For more information about the Vintage Motorcar Series, visit www.KlingbergMotorcarSeries.org . Posted in New Britain Herald, New Britain on Thursday, 13 September 2018 21:08. Updated: Thursday, 13 September 2018 21:10.